1990 Dodge Power Ram 2500, Cummins Turbo Diesel 4x4. 5.9 liter 12 valve, 5spd. manual transmission. 1- owner truck with 206,978 miles. This is one of the nicest old Diesel trucks you will find ! Always maintained perfect. Never any rust or body damage, original paint went bad so 10 years ago had a nice quality repaint back the original color. Interior looks close to new. Has aftermarket CD stereo, Like new tires, sliding rear window, spray in bed liner. Very hard to find old truck in this condition. # 1792 $12,500 SOLD! 1954 Chevy Tin Woody 4dr wagon. 235 6cyl. w/Offenhauser intake and dual carbs, 3spd. trans with original running gear. Nice older restoration. Paint and body is in nice condition. Chrome and stainless excellent. New tinted glass. Very nice cloth interior. After market instrument cluster and gauges. Rally wheels with like new tires. This is a nice driver. # A-2095 $19,900 NOW! $17,900 SOLD! 1965 Chevelle Malibu SS convertible. 138 SS car! 283 V-8, Power glide auto trans. Numbers matching car. This is a 2 owner car, Original owner was Thos Clapp who owned the Chevy dealership here in Cottage Grove when he bought car new. 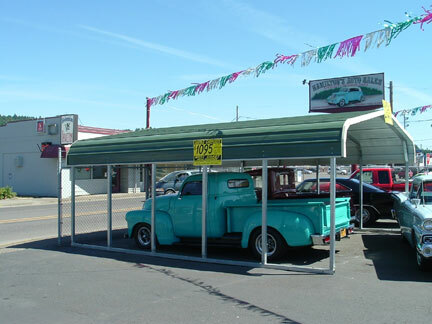 Then in the 70's another gentleman here in Cottage Grove bought it and car has always been garaged since new. Car has never had any major body damaged and was painted once back the original white many years ago, paint still looks very good. Body is super solid with no rust bubbles and undercarriage is excellent also. Top appears to be original and looks good but back window zipper is broke. Car has new power top pump but wiring is shorted someplace so will go up but not down, Have to work it manually. Original red interior with new front seat covers at some point. Interior and dash all very good condition. All gauges and lights work proper, the original clock and radio do not work. This is a very nice and original SS with original motor, heads and transmission, these are the changes and up grades - Power disc front brakes, Edelbrock intake and carb. Air cleaner and valve covers, H.E.I. distributor, Electric Fan, one wire alternator and new dual exhaust. Very sharp looking car and drives, runs and shifts excellent. # A-2076 $29,500 NOW! $26,900 SOLD! 1957 Chevy Belair 4dr Hard top. Original car with just a few changes. 283 V-8. power glide auto transmission. Same owner past 20 years, Car has been painted back the original color and that was done before this last owner of 20 years. Paint looks very good and body dose not have rust problems like many of these model cars. Undercarriage inspected and is super solid. Nice original interior with it looks like the front seat and possibly the rear seat recovered with correct original material. New carpet. All glass and stainless excellent. Chrome is very good for original. In the trunk of car is - Orig. carb and air cleaner, Fender skirts painted to match, Orig. generator, Rear bumper guards need chromed. Changes are Edelebrock carb, and Alternator. Hard to find a 57 this honest. Runs and drives excellent. Ready to cruise. # A- 2094 $17,950 SOLD! 1968 Ford Mustang Coupe J-code. 302 V-8, Auto transmission. PS, PB-front disc. Data plate shows car to be Factory Highland Green metallic paint, Black crinkle vinyl and black knitted vinyl w/ bench seat, 302 4V. Very straight body with good quality paint. Car has couple rust bubbles down low on front of passengers door and down low right in front of passengers rear tire. Interior in excellent condition, the original carpet in great shape but shows some fade, good enough condition to just die carpet. Complete car shows good. Under carriage looks solid, I will try and get picture of undercarriage soon. Very sharp looking Mustang. Runs excellent! # A-2091 $17,450 NOW! 16,750 SOLD! 1972 Ford F-100 LB 2wd pickup. 302 V-8 (out of 86 Lincoln) O/D auto transmission. Very nice restoration. A/C, power steering, After market dropped front axle w/Power front disc brakes, New fuel cell mounted at rear between frame rails. Excellent interior - new dash paint, dash pad, Cloth and Vinyl covered seat, Carpet, CD player. Paint and body very solid and straight, Nice quality tutone blue paint. Excellent chrome, Stainless and glass. Bed cover and spray in bed liner. Like new Wheels and tires. Super nice Driver ! # B-1786 $13,950 SOLD! 1962 Pontiac Bonneville 2dr HT. 389 V-8 w/tri-power, Auto transmission. Power steering, power brakes. All original interior in great condition for age of car. Body is real solid, It has had the trunk pan replace the rest of undercarriage looks solid. There are a couple small rust bubbles in paint down low on car. Body has excellent lines and good repaint back original color. Glass, stainless and chrome is original and very good condition. Real nice driver ready to cruise! # A-2074 $14,500 NOW! $12,950 SOLD! 1981 Chevy Corvette T-Top. 31,507 miles. 350 V-8, Automatic trans. Nice car through out with black Leather interior. A/C pump removed. Car has some bolt on motor up grades - Carb and intake, ignition, Headers. No body damage with good paint. Have a folder of receipts from things done to car through the years. # A-2069 $8,950 NOW! $7,950 SOLD! 1941 Ford PU. Restored stock with semi hotrod flat head V-8. Original 3spd transmission w/11 inch clutch and stock running gear. Complete motor rebuild from W.C. Cannon classic engine rebuilding - 51 Ford flathead block, Mercury crank, Max 1 Cam, adjustable lifters, New Dual Super 97 carbs with progressive set up from Summit, Reds Headers, Offenhauser intake, Bob Drake water pumps, custom Aluminum radiator w/electric fan, converted to 12Volt with high speed starter. Have spec. and build sheet for motor for over $2,100. Good clean body with no rust problems and good paint. Both cab floor pans replaced. All new wood under truck. Has new steel bed pan over wood. Under carriage detailed. Interior pretty basic, After market gauges, turn signals, Good glass. New fuel tank and sending unit. All new front brakes, drums and parts from Sacramento vintage Ford (Have Receipts) All stainless, lights, bumpers/brackets, wheels ,hubcaps/rings New from Bob Drake. Under 500 miles since completed. This is a nice show and shine and cruising truck, Gets lots of looks ! # B-1784 $19,950 NOW! $15,950 SOLD! 2010 Chevy Corvette Grand Sport. Only 19,218 orig miles. LS3 V-8, Auto transmission. Loaded, Leather, Color match and tinted roofs. Excellent condition through out ! # A-2085 $28,900 SOLD! 1966 Ford Mustang. Rebuilt 6cyl. 3spd manual transmission. Car has had a lot done to it but has cheap paint job. Newer brakes and clutch. Lots new in interior but no head liner. Chrome and glass all good. Car is ready to drive as is or continue to fix up while driving. # A-2082 $5,950 SOLD! 1957 Chevy Nomad Belair. 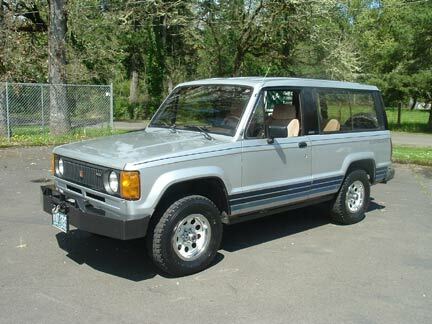 283 V-8, 3spd. overdrive transmission. Texas car with no rust problem ever. Car was originally a 6cyl. with 3spd O/D. but now has a period correct 1957 283 V-8 and the rest is all original running gear. Car was restored about 10 years ago with new original interior. Lacquer paint with super straight body. Paint looks really good but not perfect. Chrome, glass, stainless, rubbers ect. all excellent. 14" wheels with radial tires. Overdrive transmission works proper. Runs and drives excellent. Hard to find in this condition ! # A-2067 SOLD! 1953 Chevy 3100 3-Window Pickup, Street Rod. Truck is all steel and has complete restoration right down the the bolts and nuts. Crate 350 V-8, Turbo 350 Auto trans w/Locar shifter. Mustang II front with PS and power disc brakes. 10 Bolt rear end w/drum brakes and leaf springs. Under carriage is detailed with black Powder coated frame and new 18 gallon fuel tank w/filler molded in drivers rear fender. Body and paint are top quality w/new chrome, emblems, tinted glass, rubbers ect. Interior - Original seat rebuilt and covered in cloth, All new cardboard, A/C, Heat and defrost, CD stereo w/speakers behind seat, Tilt wheel, Aftermarket gauges if factory dash holes Powder. Dash and interior paint as nice as exterior paint. All new bed wood and bolts. Motor compartment smoothed and painted body color. Truck was completed about 5 years ago and has 3,208 miles. Top quality build top to bottom. This is as nice of old truck as we have had in the 36 years we have been in business ! # B-1785 SOLD! 1941 Dodge Hilo Sampam conversion. 6cyl. Flathead, 3spd. column shift. The car was built and used in Hawaii for many years, it is not a replica. Could probable seat 10-12 people. The owner now bought the car around 1974 and had it painted. In 1976 he brought the car back to the states. It is a very drivable car. Runs excellent, brakes work good and lights and turn signals work proper. The pictures look better then car does in real life but still is a neat looking car. Car is titled as a 41 Dodge Hilo Sampam. Very unique car with many possibilities for use. Ready to cruise! # A-2072 $13,950 SOLD! 1965 Ford Mustang Convertible. Same owner since 1979. C-code car. 289 V-8, C-4 automatic. Motor and transmission rebuilt with less then 10,000 miles. Paint and body work is High quality. Has newer black Pony interior, original was standard black interior. Newer convertible top in excellent condition (Power Top) Detailed motor and trunk compartments. Car is very nice top to bottom. No disappointments ! # A-2070 SOLD! NEW LISTING - The first part of listing is since we sold Car in 2013 all in black writing is our personal previous history. Since 2013 new owner has always had car garage kept and and driven it 1,866 miles, so now original miles on car are 83,036 miles. Only change made to car is he put a factory 4spd. transmission in car with new shifter that fit in original console ( original 3spd. transmission and shifter comes with car. Car looks as new as when we sold it in 2013. 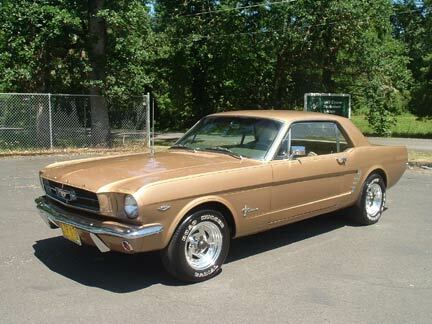 Previous listing - 1965 Ford Mustang Coupe, C-Code, 289 V-8, Factory 3spd. manual trans with shift console. This has been one of our personal cars for the past 46 years. It has 81,170 original miles. Never wrecked or had body damage in its life. NO RUST just a little surface rust in truck where paint was chipped. Everything on car is factory original except in 1982 car was painted back original color and real pinstripe and tires and wheels put on, So paint is 30 plus yrs. old but looks excellent because car has been always garaged since new and only driven 4,000 miles since painted. All the door jams, trunk and under hood still original paint. Only reason the car needed paint was because it had been waxed so much paint was getting thin on edges. As I said all Chrome, glass, emblems, rubbers ect. original and excellent. Interior is like new anywhere you look and nothing replaced or fixed, instrument cluster looks like new. All heater controls, gauges, wipers, dome light, orig. AM radio work like new. Car runs, drives, and shifts perfect. For the past 11 yrs car has not been drove much so here is what has just been done since bringing down to sell- Tune up, Rebuild carb, New Radiator, New Hoses and belt, New water pump and thermostat, New Fuel pump and filters, New brakes, Master cylinder, wheels cylinders and pack front wheel bearing. Hard to find nicer unmolested Mustang, that's why we have owned it 46yrs. # A-2066 SOLD! 1957 Chevy Belair 4dr Hard top. Original car with just a few changes. 283 V-8. power glide auto transmission. Same owner past 20 years, Car has been painted back the original color and that was done before this last owner of 20 years. Paint looks very good and body dose not have rust problems like many of these model cars. Undercarriage inspected and is super solid. Nice original interior with it looks like the front seat and possibly the rear seat recovered with correct original material. New carpet. All glass and stainless excellent. Chrome is very good for original. In the trunk of car is - Orig. carb and air cleaner, Fender skirts painted to match, Orig. generator, Rear bumper guards need chromed. Changes are Edelebrock carb, and Alternator. Hard to find a 57 this honest. Runs and drives excellent. Ready to cruise. # A- 2065 $19,500 SOLD! 1962 Chevy Impala SS. Car is suppose to have 39,656 original miles, with all the original running gear. 283 V-8, Power glide automatic transmission. Power steering. Also have the original tires, wheels and SS hub caps in great condition that go with car. Repainted original color for car, very nice paint and body with no rust problems and original floor and truck pans, rocker panels ect. all solid. Interior original and very nice. Original chrome is very good not perfect but looks great. new Fuel tank. car runs and drive excellent! # A-2063 $29,500 SOLD! 1957 Ford Ranch Wagon Street Rod. Nice older restoration. 302 V-8, C-4 auto transmission. PS, PB. A/C. Car has been done a while and still looks and runs very good. Body and paint in great condition. Cloth Interior in Nice condition, Has A/C and CD player. All glass, chrome and stainless nice. Car is ready to cruise and hard to find body style. # A-2058 $25,500 NOW! $23,900 SOLD! 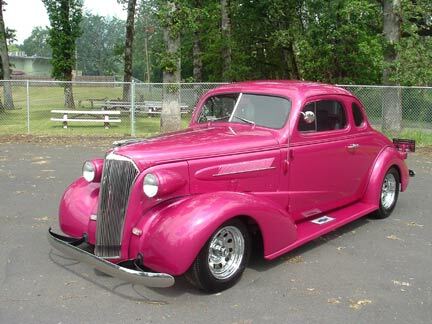 1936 Ford 4dr Sedan Street Rod. All Steel Body and Fenders. Car had complete body off restoration. Frame was sand blasted and powder coated. Body and body lines are as good as you will find. Paint is base coat clear coat and is very high quality. Motor is a 350 V-8 .030 over, Steel Crank, 4-bolt main, Dart II sportsman heads, Cutler Tune Port injection, 1227730 ECM. AUJP prom-programmable, Pro-Charger Supercharger, P-600-B, Schneider Cam, Aeromotive Fuel pump-11101, Fuel filter-13204. Electric exhaust cutouts. Transmission is 700R. Car has 1,891 miles since completed. 1991 Jag rear end, 1984 Jag front end. Body modifications include - 91 Volvo electric sunroof, power antenna and the trunk lid is part 36 and 37 to make more usable and it looks factory. On the interior the dash had 2" added to bottom to accommodate the radio and Stewart Warner gauges. Vintage A/C and Heat, 87 Ford tilt column, Electric windows - gray glass, Black vinyl interior with Leather seats, Front seats are all electric and heated. This car is top quality through out ! # A-1903 $36,500 SOLD! 1937 Chevy Master Deluxe Coupe, Street Rod. 327 V-8, Turbo 350 auto trans. with genie shifter. Power rack steering. Four wheel power disc brakes. Custom front cross member with mustang II spec. for front suspension. Car has 1,970 miles since completed. Rust free car with laser straight body and beautiful Raspberry Burst paint. Custom New Leather interior over $7,000 spent with power seat. A/C, Digital gauges and clock. Polished custom steering column with tilt. New CD player and speakers. Tinted glass, All new chrome and rubbers. Car is a complete frame off restoration and looks new everywhere. # A-1848 $36,500 SOLD! 1955 Ford Crown Victoria. Nice Car with Stock appearance. 302 V-8, C-4 auto transmission w/ Gear Vendors under-overdrive added. Lowered stock front suspension with Power rack steering. 9" Currie rear end. Power 4-wheel Disc brakes. A/C and heat. Continental kit. Fender Skirts. Body and paint in great condition, This is not a perfect car but a nice show and shine, Driver. Newer interior in excellent condition. Motor and trunk compartments nicely detail. Undercarriage looks good. All chrome, stainless and glass very good. New aluminum radiator, Have a folder with receipts and info on work done. Car is ready to cruise ! # A-2054 $29,500 NOW! $24,500 SOLD! 1968 Chevy Camaro. Numbers Matching car. 327 V-8, power glide auto trans. PS, Front power disc brakes added. 40,935 original miles, I do have DMV paper work that suggests miles are correct. Car has been repainted back the original color and is High quality. At the same time as paint it got new black vinyl top, Rubbers, felting. Black interior is original and excellent. Undercarriage looks original and excellent (no rust problems or patch panels) American Racing Tork Trust wheels of the 1968 area restored and excellent. Hard to find and old Camaro this honest ! No disappointments. VIN - 124378N397765 There is a picture of Data tag included. # A-2042 $29,950 SOLD! 1940 Ford Opera Coupe, Steel car with Columbia rear end. Nice older restoration. Flat Head V-8, 3spd. transmission and Columbia rear end. Fuel tank and lines new. Body is solid from top to undercarriage with no rust problems, Doors fit car at the bottom as good as I have seen. Paint is older but looks very good - not perfect. All chrome and stainless excellent. Newer original style interior very good condition, All gauges, wipers and heater are working. Radio is there but dose not work. This car runs, drives and shifts excellent and Columbia rear end works proper. If you want a nice and solid 40 Ford this car is ready to cruise! # A-2046 $29,500 SOLD! 1939 Chevy 2dr. Sedan Street Rod. 350 V-8, Turbo 400 automatic. Drop straight front axle with Vega steering box and power front disc brakes, Rear end is 1980 Fire Bird w/drum brakes. Motor was completely gone through in 2015 (Low miles) and has light cam, Edlebrock carb. HEI ignition and block Hugger headers w/Flow Master exhaust. Body and paint is in great condition, car was taken apart to paint with many coats and some pearl. Fenders are steel with no bondo, Running boards from Summit Racing. Interior is custom from Jerry's Upholstery in Lebanon, Front seats are 98 Explorer and drivers side is power. CD player, Aftermarket gauges. New glass from Bob's glass in Junction city. American Racing wheels with like new tires. This car is ready for cruising and show shines. # A-2045 $19,500 SOLD! 1970 Chevy Camaro Split Bumper. 383 Stroker V-8 w/low miles. Auto transmission w/ratchet shifter. Posi Trac rear end, 4 wheel power disc brakes. New dash bezel and aftermarket gauges. Good straight and clean car with nice paint and interior. Original carpet is good but faded. # A-2037 $15,950 NOW! $13,950 SOLD! 1931 Ford Model-A Coupe. All Steel car w/original running gear. Restored all original with some upgrades including - 12 Volt system w/Alt. and turn signals, Seat belts, Modern 6 blade cooling fan, Modern shock kit, 16" wheels w/600-16 tires. Steel top. Believed to be painted around 10 yrs ago and looks pretty much looks fresh with no rust bubbles or rust problems and is very straight with good quality paint. Nice interior kit that is in excellent condition. Stainless all very good, Painted bumpers. Very nice driving and running original Model-A with some good upgrades. # A-2041 $13,950 SOLD ! 1935 Ford Pickup. Restored all stock, nice truck. Flat Head V-8 rebuilt, 3spd. transmission. The owner restored it trying to keep it as close to original as he could. This is a very complete restoration. Body don't have any rust and has new floor pans and wood. Nice paint and new interior. Have lots of receipts and pictures of restoration. Runs and drives excellent! # B-1779 SOLD! 1963 Ford Falcon Futura 2dr HT. 347 Stroker V-8 with less then 300 miles, Top loader 4spd transmission. Power front disc brakes, Heidts complete front suspension, Shock towers removed, Rack steering, New posi rear end, New - Radiator, water pump, fuel pump, Fuel tank, Rear springs, Seat covers and carpet, Clutch, Starter, Carb, Wiring harness, Shocks, Tires and much more. Car was painted 25 years ago and has Ghost frames. Body and paint very good and after all these years it just as a couple rust bubbles above passengers rear tire. Rubbers ,Chrome, glass and stainless all good, Also have all of body side moldings that came on car in great condition. I have pages of thinks done to car not listed. # A-2001 $23,500 NOW ! $17,950 SOLD! Speedster, Titled as 1927 Ford but all rebuilt Model-A other then 27 cowl. Custom built with only 1,127 miles since completed. Complete rebuilt custom 4cyl. model-A motor - New pistons, Manley stainless steel valves (larger intake valves), New valve springs, one piece valve guides, Mallory Distributor, Redline touring cam, Winfield head 7.5 -1 ratio, Winfield side cover, New babbited rods, New oil pump, Crank shaft counter weighted and balanced, 32 ford water pump, Custom exhaust and down draft intake with custom adjustable main jet Stromberg 97 carb. Has Model-A frame and running gear - Transmission rebuilt, Lowered suspension, After market adjustable friction shocks, Rear end gone through. Body is 1928 radiator, custom built hood and 1927 cowl w/custom windshield. Custom Model-A head lights, Turn signals, All custom wood back. This Speedster has lots of power and can cruise 60 MPH. # A-1968 $12,500 NOW! $10,950 SOLD! 1931 Ford Model-A All steel Slant window Street Rod. Murry body. Custom 4dr. built to look like sedan Delivery. Rebuilt 302 V-8 with 1970 Cobra Heads and high lift cam. (have specs) New on motor - oil pan, timing cover, intake, 750 carb, Alt, fan, Harmonic balancer, Fly wheel, Starter, Dist and wires, Water pump. all with under 300 miles. C-4 automatic trans. Original frame boxed. 4" drop I Beam axle w/Disc brakes. Rear end is Ford 8" w/4bar & coil overs, gear Ratio is 3:78. A new 32 gas tank was installed. Body is all steel and rust free. Paint is single stage Polyurethane. Body is Murry 31 four door slant window with back windows filled in, rear exterior door handles removed but they still open from inside the car. New - Interior, Top, Glass, Hood, Front splash apron, Cowl lights w/turn signals, Wiring Harness, exhaust, Steering wheel, Master cyl. brakes. Super nice driving Custom Model-A ! 278 miles since completed. # A-1966 $34,500 SOLD! 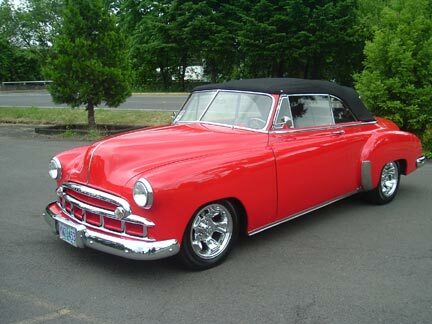 1947 Chevrolet Fleet Master Convertible. Model-2134, There were 28,443 produced in 1947. This car was restored to the highest original quality sometime in the early 80's. Winning first place at both the 1987 A.A.C.A. National Fall Meet in Hershey PA. and 1985 Forest Grove Concours D'Elegance in OR. I have the original car invoice from Keiser Chevrolet in Pottstown Penna. Also owners service policy and jack instructions. Car has 1,605 miles since completed and has always been in heated storage so car still looks fresh. Original 216 motor matching numbers, rebuilt and runs perfect. 3spd. transmission. Body is laser straight and all body lines fit excellent. Paint is top quality. All chrome, stainless, glass, top (power), rubbers ect. look new. Basically everything on car was replaced and looks new. Interior, cloth and leather looks like it was just put in car, its spotless. From the original car Invoice - Optional equipment and accessories include- Trunk Guard, Radiator Ornament, Exhaust Extension, Deluxe Steering wheel, Engine Lite, Trunk Lite, Oil filter, Dash Heater and Defrost, Push button Radio, Spot Lite, Fender Shields, License plate frames, Locking gas cap. Then under extra's is Undercoating and White Wall tires. The cash on delivery price was $1,949.00 The car was restored to its originality, The only change I know of is about 4yrs ago they put a split manifold with dual exhaust. Want one of the best this is it ! # A-1956 $49,950 SOLD ! This is how the 1931 Model-A Sports Coupe below came back. 305 V-8, Turbo 400 automatic. 8' rear end with Coil over's and 4 bar. 6' drop front axle with disc brakes. Custom built Model-A frame. Paint and interior left the same. # A-1944 $21,500 SOLD! 1967 Chevelle Malibu 4dr. Original 327 V-8, Car has 64,031 original miles. Transmission changed to 200R 4spd. over drive automatic and has a complete front disc brake kit from Classic Performance products. Interior is all original and excellent. It dose have after market gauges mounted under dash and different steering wheel. Body is super straight and solid, undercarriage is clean with no rust and all original floor pans and rockers panels. All glass and chrome in great shape. Runs and drives perfect. Have lots of receipts and owners manual. This is one of the most honest old cars I have seen. Hard to find this clean and original other than the up graded brake and transmission. # A-1941 $8,450 SOLD! 1922 Indian Scout Motorcycle. This is NOT a bike that has been pieced together using other bikes - Jim Doleman discovered this bike in and old house to be demolished in the mid-60s, he past it on to his son Jack in 1970 and has owned it every since. Restoration was done using all of it own parts other than a few bolts and nuts. Motor serial number is - 52T409. This is the original motor and had a complete rebuild in 1998 by Ted Williams in Sacramento California. All parts and supplies purchased thru Starklite cycles in California or Antique motorcycle works in Oregon City Oregon. Through the years Jack began working on the old bike and completed the frame restoration in 2010. In 2015 bike was pinstriped and had a final engine tune up by Terry Cutler in Dallas Oregon before being put up for sell. This is a nice collector bike and is ready to ride or show. Saddle bags and boots go with the bike. Call with any questions 541-942-8888 # C-232 SOLD! 1931 Ford Model-A 2dr Sedan all Steel Street Rod. 350 V-8 rebuilt with approx 1000 miles on it, Turbo 350 automatic trans. Boxed Model-A frame, 4" drop front axle, Disc brakes, 4bar. Ford 9" rear end 4 bar with coil over's. Body is super straight and was never rusty, Custom fenders and all steel floor put in. Color is Versa Red and is Polyurethane paint. 28-29 Model-A radiator and shell. New custom top insert. New fuel tank mounted in the rear. New wiring kit and lights. Custom dash and Stewart Warner gauges. New tinted glass and handles. Seats installed in car ready for you to put interior in. # A-1906 $19,950 NOW! $16,950 SOLD! 1971 Ford Maverick Grabber. Built 302 V-8, Auto transmission. Car was restored about 11 years ago and has less then 10,000 miles since completed. 71 was the first year for the grabber Maverick. This car has original hood and tail scoop. The original rear scoop is painted to match the car but as a carbon fiber scoop on it now. Interior is original except the bucket seats are out of something else, but all in nice condition. Paint and body in excellent condition. Very sharp looking car and a unique hot rod, not many Mavericks around anymore. # A-1922 $13,950 NOW! $11,950 SOLD! 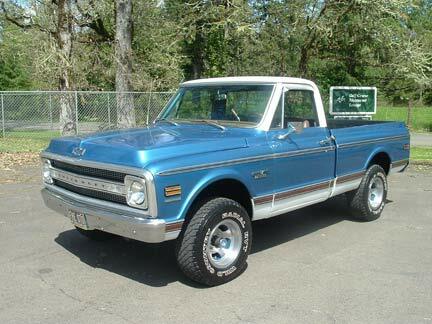 1970 Chevy C-10 Factory CST/10 Short Bed 4x4. This truck had the same owner past 38 years. 1 1/2 year ago he had it painted back the original color, Truck still had original paint and there where no rust problems other then just a little at bottom of rocker panels so they were replace the rest of truck solid original metal. All the stainless trim and light covers replaced. The grill surround and bumpers are original. All rubbers replaced. Truck came with factory bucket seat with center console, Factory tach works great. Factory A/C compressor removed but is available along with the original 350 motor. The interior is original other then he put 1972 door panels and window regulators. The bed has been Arma coated. The motor is a 350 V-8 rebuilt long block, the transmission was rebuilt at the same time and both have 6,764 miles on them. The odometer was reset at the time to read correct with motor and trans miles. When the motor was rebuilt they also added power front disc brake. This truck runs and drives excellent! Hard to find. # B-1699 $23,500 NOW! $21,500 SOLD! 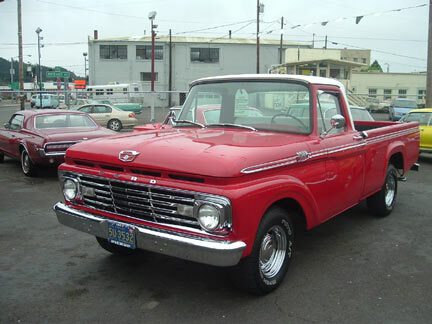 1963 Ford F-100 Long bed Pickup. Rebuilt 223 6cyl. with less than 25,000 miles on it. Just rebuilt recently is the 4spd. transmission, Front end and kingpins. Rebuilt steering box with power assist steering added. The red paint and body work on this truck is laser straight and very high quality. All new chrome and stainless, Bumpers Grill ect. Glass, Rubbers, window channel, regulators and felt all new. Spray in bed liner, inside the bed is very straight too. Interior is all new and all gauges and switches look like new. AM/FM cass with 6" speakers in the doors. Nice tires and wheels. Hard to find a nicer old truck ! # B-1676 $10,500 NOW! $8,950 SOLD! 1949 Chevy Convertible Street Rod. Fuel injected LT1 Corvette 350. 4L-60E Automatic overdrive transmission. Mustang II front with disc brakes. Ford rear end with drum brakes. Dual master cylinder and all new pluming from total cost involved. Ron Francis Fuse panel and wiring. Interior is Gray leather, Ididit tilt column, Dakota digital dash, Secretaudio sound system mounted in glove box with 6 disc changer in trunk, A/C and Heat controls also in glove box. Electric Mercedes cloth top with bars chromed. Body and paint near perfect with no rust anywhere. Under the hood fire wall is smoothed with no wires showing. All chrome, stainless, rubber, glass, felt ect. all new. No corners cut when building this car. 3,314 miles on car since completed. Drives and sets right no disappointments. Also have folder full of specs and papers for car. # A-1699 $42,500 Now ! $39,500 SOLD !